ARP Replacement Nuts are available in most popular sizes to fit your needs. These nuts offer direct replacements to your already ARP bolts or studs. 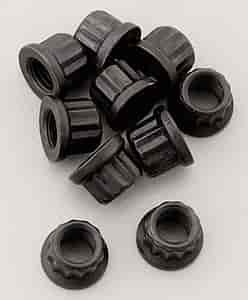 Instead of replacing an entire kit for just a few nuts, ARP offers these replacement nut sets. These nuts are made of premium aerospace-grade materials, have 180,000 psi tensile strength and are 8740 chromoly steel with black oxide or polished stainless steel finish.